It’s all well and good having disc brakes that look pretty, or can melt your face off with their stopping power, but it all amounts to nought if those brakes give you nothing but grief on the trail. If you’re someone who likes to travel with your bike, having a reliable brake that’s easy to maintain and service can go a very long way to retaining your sanity. Shimano Zee borrows much of the same gravity-oriented performance as the Saint group set, but works it into a more affordable package. Since the XTR M980 groupset launched way back in 2010, Shimano has built itself an enviable reputation for its hydraulic disc brakes, particularly when it comes to brake feel and reliability. Well, for the most part anyway. We have experienced a few somewhat unsettling moments with the latest M9000 XTR and M8000 XT stoppers, with certain sets occasionally plagued by a weird variable bite point. Thankfully, the Zee stoppers on test have not given us such troubles. And from a reliability and ease of use perspective, these are no doubt the easiest to live with brakes from the whole group test. Four big ceramic pistons sit inside the Zee calliper. Mineral oil and a One Way Bleed system makes the Zee brakes easy to work with. With Zee being to Saint what SLX is to XT, what you’re looking at here is essentially a set of Saint brakes that have had some of the bells and whistles trimmed off. 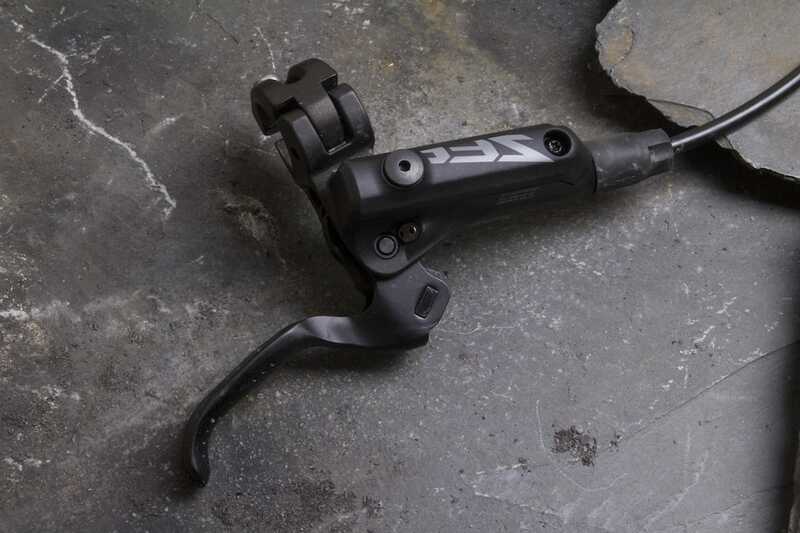 You don’t get the fancy finned brake pads or a tool-free reach adjuster, and the lever is essentially the same as SLX (whereas the Saints get an XTR-level lever). But, otherwise, that’s kind of it. There’s the same chunky four-piston Saint calliper, which uses a pair of 15mm and 17mm diameter pistons that are made of a ceramic material to insulate the calliper from heat generated by the pads and rotor. Compare that to the 22mm diameter pistons used in the two-pot SLX brakes, and you’ve got nearly a 20% increase in piston surface diameter to put more pressure onto the pads and rotor. Add in the wider pads, and there’s a substantial increase in friction available to scrub off speed. You’ll need a wee allen key adjust lever reach. 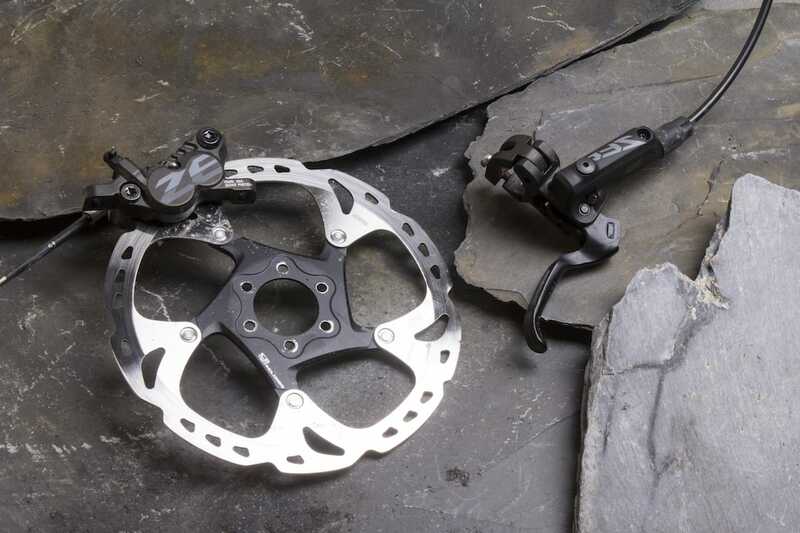 Like all of Shimano’s high-end disc brakes, the Zees are a doddle to set up. There’s a 4mm hex key to bolt the split clamp to the bars, and you’ll need a 2mm hex key to set lever reach. The short lever blade has a comfortable and intuitive hooked profile, and if you’ve got a new generation I-Spec Shimano shifter, the two can share the same bar clamp. As for bleeding, using Shimano’s cup tool and One-Way Bleed system could not be any easier. The short lever shape is one of our favourites. One of the big advantages with Shimano disc brakes is the large degree of pad rollback. 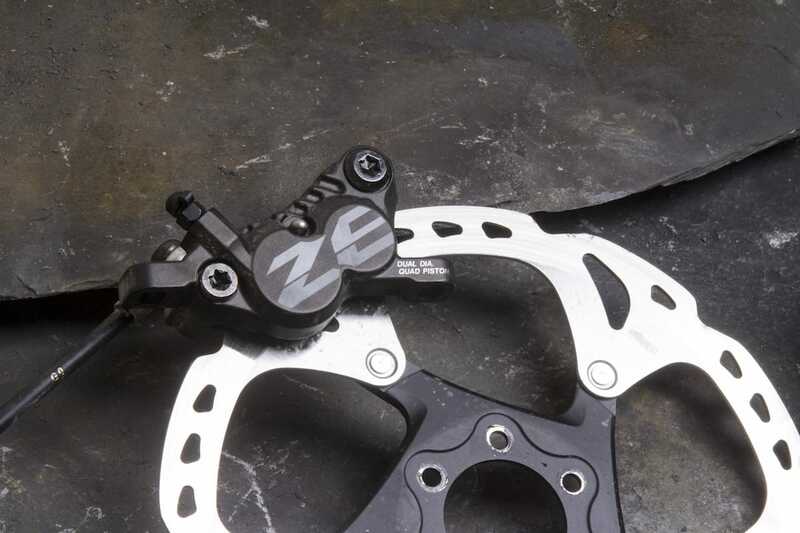 With more distance between the pads and rotor it’s significantly easier to align the calliper to the rotor for rub-free coasting, making the Zees the easiest to set up, bar none. Because of the Servo Wave roller cam up the lever end, the pads close in quickly to make up that gap as soon as you squeeze on the lever. 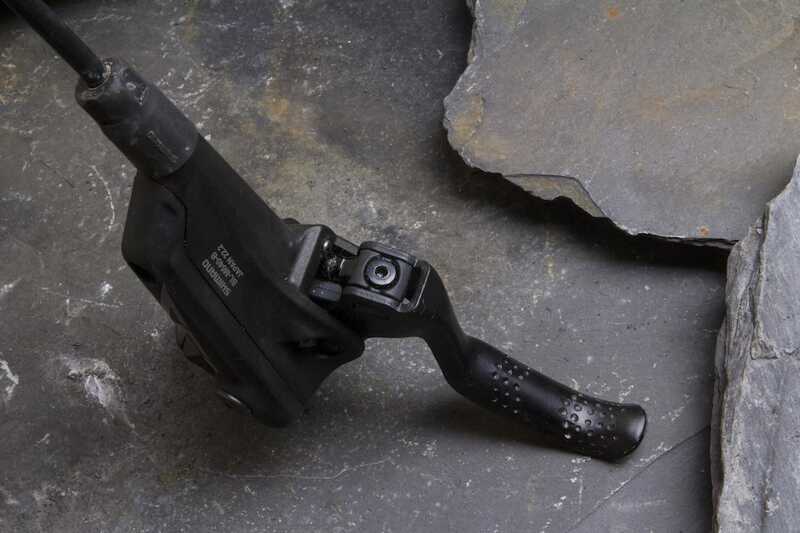 Admittedly there’s quite a bit of lever throw before anything happens and because there is no pad contact adjustment, you can’t fine-tune this bite point position. Still, it’s a solid and definite bite point, and there’s a gently progressive feel to the power. 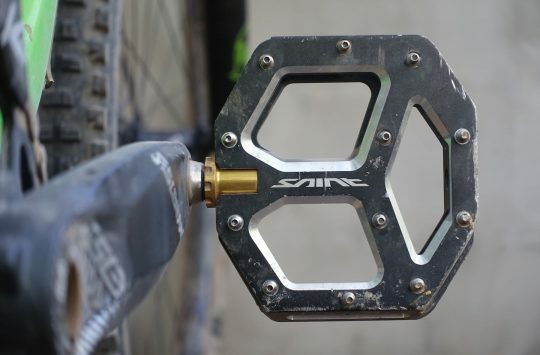 The Zees take the same pad shape as Saint brakes, so you have upgrade options. 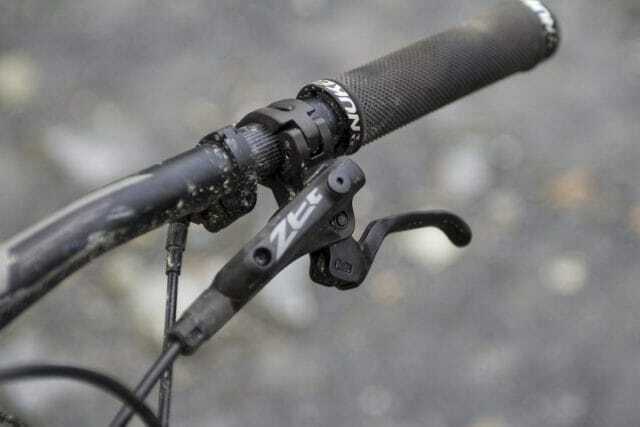 Compared to Shimano’s SLX & XT brakes, the Zees aren’t nearly as grabby initially, with more power being available deeper in the lever throw. As a result, the Zees actually have better modulation and fine-tune control than their lighter twin-pot siblings. However, overall power wasn’t as good as we were expecting. 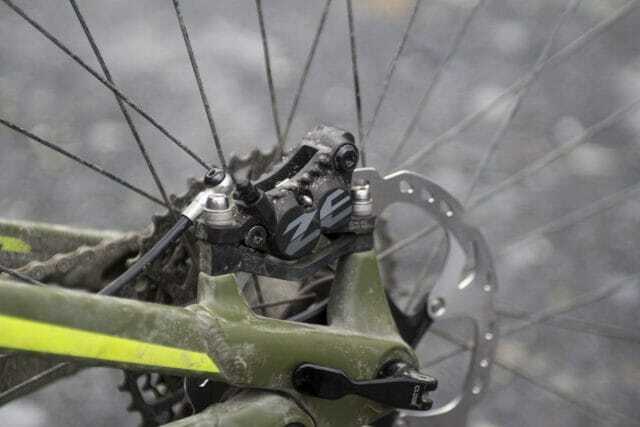 There’s certainly plenty of grab from the Zee callipers, and they felt stronger than both the Hopes and TRPs, but they couldn’t match the sheer stopping force of the Magura or SRAM brakes. One thing we noticed after returning from Antur Stiniog was that braking power seems to soften if you leave a few days between rides. And, as we’ve experienced with other Shimano brakes, the pads also seem to be susceptible to being contaminated by bike cleaners. The first ride after any wash was met with high-pitched wailing and a soft brake feel, though after getting a bit of heat into the pads and rotors, the power would soon return to normal levels. A powerful, reliable set of stoppers with better modulation than Shimano’s twin-piston brakes. The Zees are excellent stoppers that feature decent power, great modulation and solid reliability. 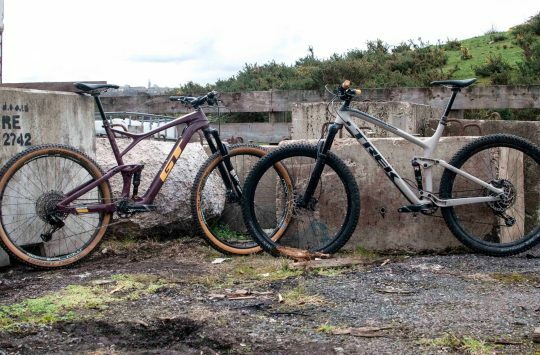 They may be a little heavier than a set of SLX or XT brakes, but we prefer the feel and their consistency. Factor in the ease of bleeding and the wide availability of spare parts including pads, rotors, spare hoses, adapters and mineral oil, and the Zees get a strong recommendation from us. 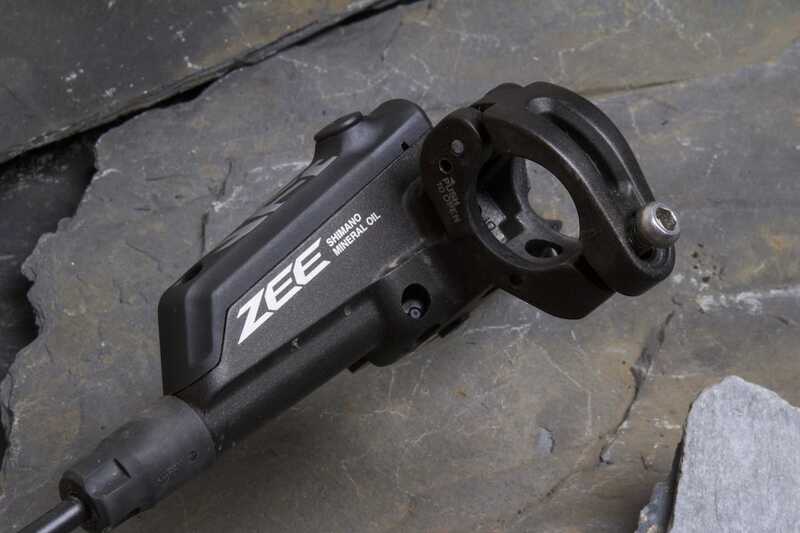 How are the Zee the most reliable brake if the power softens between rides – resulting in wailing pads and less power unless you get them really hot the next time you use them? This sounds like some of the other brakes that have some issues with pad contamination like the XT M8000 for example. I’ve had the zee’s for over a year now, i’ve never noticed excessive brake noise unless my pads are worn, and no softening between rides. But you do need to pump it a couple times before heading down. Also, that price is off, and you can buy finned pads for them. @joebristol – To be honest, it’s not that big of a deal. Just more of an observation from our end that some cleaners do seem to leave a residue on rotors and pads that can produce an initial noise to begin with, which soon disappears after the first few stops. We’ve not experienced any fluid loss/contamination with our test brakes or any other Zees we’ve tested. 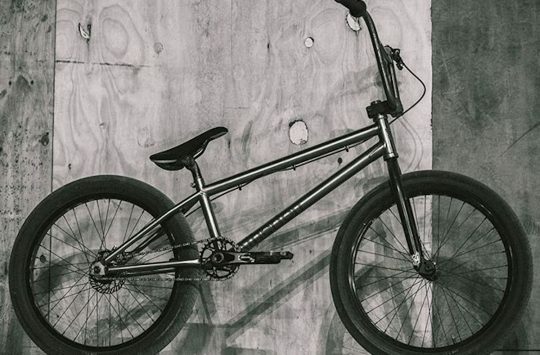 @tobywaan – That’s the UK RRP that Madison has provided for the Zee brakes.